Yeah last week I had a bit of an Internet shopping binge. It's lovely to have all the items and parcels are beginning to arrive. Today I received 2 parcels from ASOS.com that included the above shoes as well as some other delightful items. My weekend was super lovely catching up with friends and watching crazy movies. I'll give you my mini review on Scre4m tomorrow night (after I watch the new GLEE episode). P.S Who else keeps reading about Coachella this past weekend and dreaming and wishing that they were there? Oh it was beyond torture - I couldn't bring myself to watch the live stream. 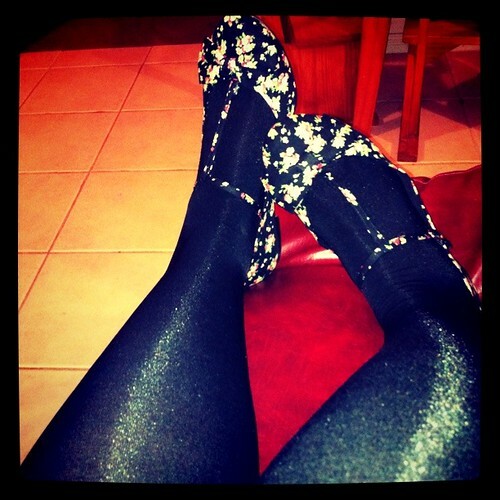 Cute shoes! woo hoo! I need to have a shopping spree, except mine will include stuff for my blossoming belly. UGH. ha. Not fun shopping if you ask me.